Cleaning cloth supplier since 1951, its fair to say we know a thing or two about cleaning. 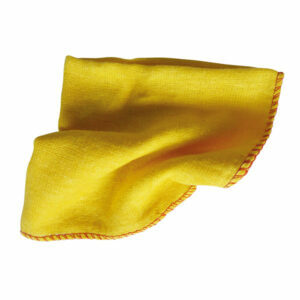 No professional cleaner should be without a good quality polishing cloth. 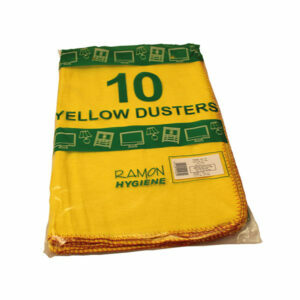 Our range of traditional yellow dusters are available in a range of sizes and grades, ideal for dusting and polishing. 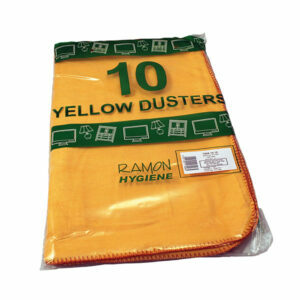 Used for cleaning and polishing surfaces the yellow duster is excellent quality. Supplied in bales of 200 x 10 at discounted prices. Please contact a member of our sales team for more information. An economy duster which is suitable for cleaning and polishing surfaces. Dusters can be supplied in bales of 200 x 10 at discounted prices. Please contact a member of our sales team for more information. 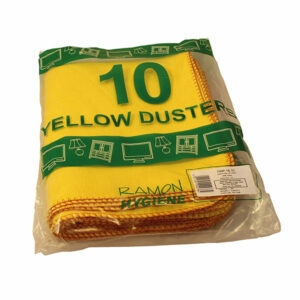 Excellent quality duster which is ideal for cleaning and polishing surfaces. Dusters can be supplied in bales of 200 x 10 at discounted prices. Please contact a member of our sales team for more information. Used for cleaning and polishing surfaces. Dusters can be supplied in bales of 200 x 10 at discounted prices. Please contact a member of our sales team for more information.